So why haven't you completed the tasks assigned to you in the last planning meeting? Or developed the new QA/QC guidelines that you agreed to do? Or made those sales calls you promised? Or spent more time mentoring the coworker who asked for your help? Let me guess: You haven't had the time. Isn't that the usual reason we offer for not getting those important (but perhaps not so urgent) tasks done? I wonder how many missed opportunities and how much unrealized potential we and our firms have suffered for the lack of available time. 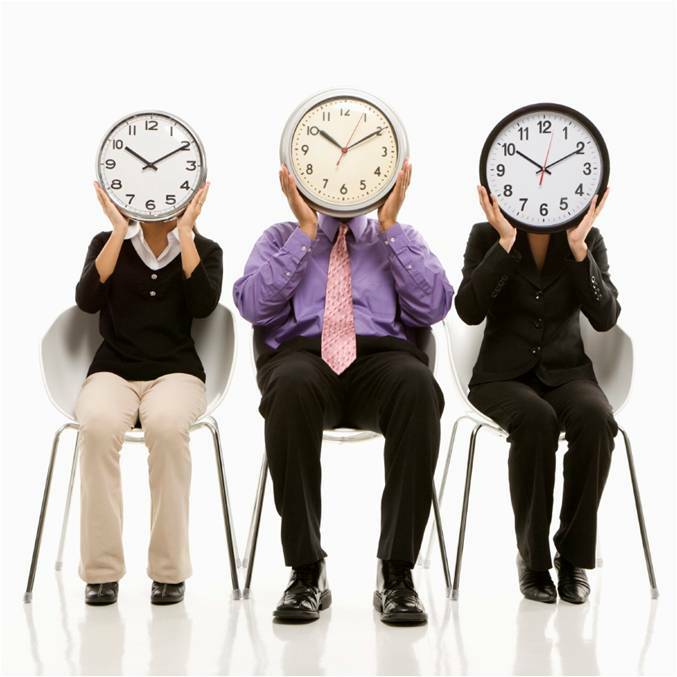 For the average manager, the time crisis is probably the toughest challenge we face. Recognizing that, most of us have attempted to employ some time management strategies. Maybe we've read a few books on the subject or attended a seminar or two. With diligence, some of us have experienced a little improvement. But the time crisis persists. Why? To be honest, the biggest problem usually is the other people who we work for (clients and bosses) and who work for us. They regularly interrupt us, alter our task lists, and jumble our priorities. Some of us try to escape the distractions by occasionally working at home, working nights and weekends, or hiding out in a conference room. But these are less than satisfactory solutions. Pick no more than 3-4 primary goals for your time management initiative, at least in the early stages. Your collective goals and priorities shape the framework for developing group time management strategies. Inventory current time usage and interruptions. Do this before you finalize your list of goals and priorities because it will reveal where many of your problems lie. Set aside two weeks for this step. For the first week, have everyone in your office, department, or team track in 30-minute increments how they spend their time at work. One of the main benefits of this is to demonstrate how fragmented your time usage tends to be (especially for managers). The first time I did this, I learned to my astonishment that only once during the week did I work on any single task for more than one hour. Of course, it's hard to be very productive when you spend your time that way. So one likely goal to emerge from this exercise is to take steps to help people better "block" their time on specific tasks. For the second week, ask everyone to keep track of interruptions. This would include unscheduled phone calls, walk-ins, and impromptu meetings. There is obviously a connection between interruptions and your inability to block time. But perhaps the greatest value of this exercise is raising awareness about interruptions. When you walk into someone's office and they pull out their tracking sheet and write you up, you begin to think: Did I really need to interrupt this person? For both of the above activities, you can download tracking sheets from the "Consultant's Toolbox" page of my website. Establish "office hours." One way to control interruptions is to establish a few hours each day when only urgent interruptions are allowed. This could be done by setting a time period for everyone in the group or allowing each person to set their own. Setting office hours typically should be left optional, but respecting them should be expected of everyone. Of course, it will be difficult if not impossible to set office hours for some individuals (e.g., administrative staff). But this should not deter you from considering it for the others. This tactic can be approached more informally. When I was an operations manager, I encouraged my staff to set office hours if they wanted and many did. I did not, but made arrangements with the two people who interrupted me most (my administrative office manager and my boss) to try to limit nonurgent discussions to a period of time late in the day. This made a tremendous difference in my efforts to better block my time for important tasks. Make appointments for important tasks and communicate them to others. The important tasks on your to-do list are routinely usurped by more urgent--and often less important--matters. But appointments you make are much less prone to being pushed aside. So let me recommend that you make appointments with yourself for all important but nonurgent tasks. Don't simply add them to your list; block out specific periods of time. In most offices, employees have access to their coworkers' calendars through programs like Outlook or Lotus Notes. This means that the appointments you make for important tasks will show up there and discourage others from scheduling you for other things during those times. If you don't have access to this feature, I would urge you to develop some other way of communicating appointments to each other. Even posting calendars on office doors is better than nothing. Establish policies and guidelines for meetings. Meetings share a dual honor: They are both the biggest time wasters and the biggest time savers in your office. The difference is how you define which meetings are necessary and how well you manage them. In most of the firms I work with, I find there are too many management meetings and too few project meetings. An effective meeting should ultimately save time through better planning and communication. Of course, even an appropriately called meeting can waste time because it is poorly planned and managed. With rare exceptions, all meetings should have an agenda published in advance and a facilitator assigned. There is both a skill and an art to facilitating meetings, and relatively few excel at it. It's a good idea to bring in one of your best facilitators for more important meetings, even if that individual otherwise wouldn't have a role in it. Or consider hiring an outside facilitator for key meetings. Don't fall into the trap of thinking that the person "in charge of" the meeting content (e.g, a project manager for a project meeting) is necessarily the best person to be in charge of the meeting itself. For most firms, improving meetings should rank high on their list of group time management priorities. Make sure managers properly invest their time in others. All managers should be familiar with the Time Investment Principle. That is, the best way for a manager to improve his or her productivity is to focus first on helping others be more productive. This is inherent in the common definition of the word "manager"--one responsible for getting results through the efforts of others. By spending time helping others do their job better, the manager multiplies his or her productivity. Unfortunately, too many managers focus first on their own to-do list, neglecting their duty to spend adequate time instructing, encouraging, and monitoring others. One of the best ways to ensure that you appropriately invest time in others is to try to start each day meeting with those on your team or in your work group. Do this before you sit down at your desk and succumb to the demands of the paperwork, email, and phone messages awaiting you there. Make sure that those working for you are adequately prepared to make the most of their time that day, before you begin to tackle your personal tasks. Of course, the Time Investment Principle involves being available and helping staff throughout the day. But the suggestion is doing this more proactively than reactively. It yields better results and reduces unnecessary interruptions. Involve your clients. You may be thinking: These suggestions sound good, but clients are a big part of the problem in effectively managing our time. So why not ask for their cooperation? Don't they also have a stake in your success in getting the most from your time? Let them know about your office's or team's efforts to better utilize your time and improve productivity. Suggest ways that they can help, such as calling you or your coworkers at certain times of the day. Offer to take responsibility for meetings involving the client, so you can see that an agenda is prepared and a competent facilitator is assigned. Actively engage clients in planning the work, mutually establishing expectations and defining critical junctures in the schedule. Communicate proactively with your clients, so that surprises and untimely interruptions are minimized. Who knows, your efforts to maximize the use of both your firm's and your client's time may prove to be one of the most significant ways you add value for the client.